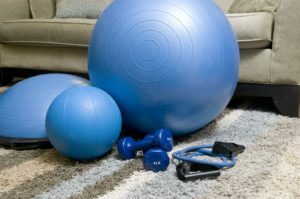 Are you are planning to move but you have a home gym? You will need to think twice before moving gym equipment. If you own a gym you are probably in good shape. And maybe you are not scared by the sheer weight of your gym equipment. But if you plan in advance and make a good strategy it will help you to avoid the unnecessary difficulties. Being in shape and fit has become a kind of a standard in the past few decades, especially in Hollywood. More and more people are engaging in some kind of sports activities. With the rise in popularity of fitness and bodybuilding, many people wanted to have their personal gym at home. So what to do when the day to relocate your home gym comes? Every home gym has a different set-up but some pieces of equipment are more popular than others. Free weights. When you are moving gym equipment, barbells, dumbbells, and kettlebells are going to be tricky to handle. Exercise ball. Easy but take a lot of space. Weight bench. There are many types of weightlifting benches. Weightlifting machines. These will be difficult to move. The first thing you should do before you begin moving gym equipment is to make a list. Gym equipment is heavy and cost money to transport so you will need a good strategy. If you have some machines that you don’t use maybe you should think about leaving them. Maybe you have equipment that is old or in bad condition. Calculate the cost of transporting that single piece of equipment and see is it better to pay the movers or buy a new machine after your relocation. If you make a list it will help you to have a better overall look at your equipment and make a better decision. It will be of great help to you if you decide in advance what pieces are not going into the moving truck. You don’t want to spend time and effort on equipment that is going to be replaced. There are a few more steps you should go through before the moving operation begins. Of course, you need to prepare some items to help you with moving and packing gym equipment. You will probably need a set of tools, an old cloth, a multi-purpose cleaning product, a number of heavy-duty containers, a dolly cart, packing tapes, wrapping paper, and maybe some sturdy cardboard boxes. It all depends on what equipment you have in your gym. Think about what items could be of help and prepare them in advance. Considering the weight of your exercise equipment you should also find someone to help you. The best people to help you would be bodybuilders; they know the equipment and have the muscles for the job. If you don’t know any bodybuilder that would help you a pair of your best friends will be enough. 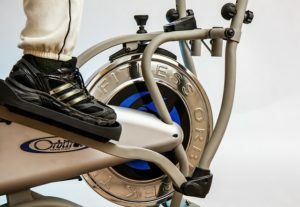 You know that exercise equipment can be full of germs and bacteria. 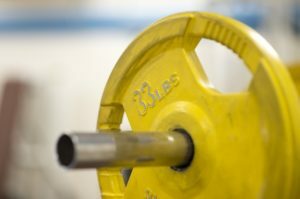 Take the time to thoroughly clean your weights and equipment. You can use antibacterial wet wipes or paper towels with some good cleaning product. Hopefully, you have been doing this regularly so cleaning your gear before the move is not going to take you a lot of time. Maybe you think that this is not a necessary step but think again. It is not going to be pleasant when you grab a greasy dumbbell. Or you drop it because it was slippery from your sweat remains. Also, you don’t want to bring dirty equipment to your new home. After you identified all the things that are going with you and you’ve cleaned them, the best thing to do is to sort your gear by size. Some of your equipment probably came with a sturdy box and if you still have it, use it. You should put the pieces that don’t have their original packaging in boxes you previously prepared for this job. While doing this, think about weight. Try to distribute the weight evenly and don’t put too much weight in one place. It could be too difficult to carry or your container could break. After all your smaller equipment and accessories are packed you are ready for bigger problems. First, gather all your user’s manuals. Read the instructions on how to disassemble your equipment properly and safely. Some machines, like an exercise bike, for example, can be moved without taking them apart. You can find out what is the best way of moving a particular machine in their instruction manuals. If you don’t have or can’t find instructions photograph the disassembling process. It will be of great help once you start reassembling your gear. Of course, you should not do this if you are not familiar with the machine’s interior mechanism and you are not particularly skilled for this type of work. There are mechanisms that just fall apart once you start disassembling them and then even the photos won’t help you. The best thing to do is to call an expert if you really need to do this. If you are doing the job of lifting and carrying be careful. Before you start moving gym equipment make sure that the path is clear of all distractions. Also, don’t forget the warmup. 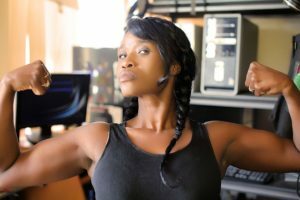 Because you are a fitness expert you know that you should do your stretch and warmup exercises before you start lifting heavy stuff. Just don’t overdo it. You should definitely consider hiring a moving company to help you move your exercise equipment. There are companies that specialize in moving home gyms but any good and reliable company would be better than doing it yourself. Before you damage your floor, wall or your treadmill hire a good moving company to help you with moving gym equipment.